Available in 4 colours (RED, BLUE, GREEN, NAVY). The Grand Tourer (870) comes with 4 lift out bags. 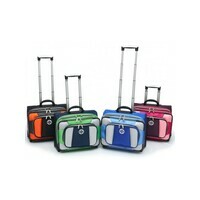 Great option if you are looking for a larger trolley bag! Can hold 2 sets (up to 8 bowls).